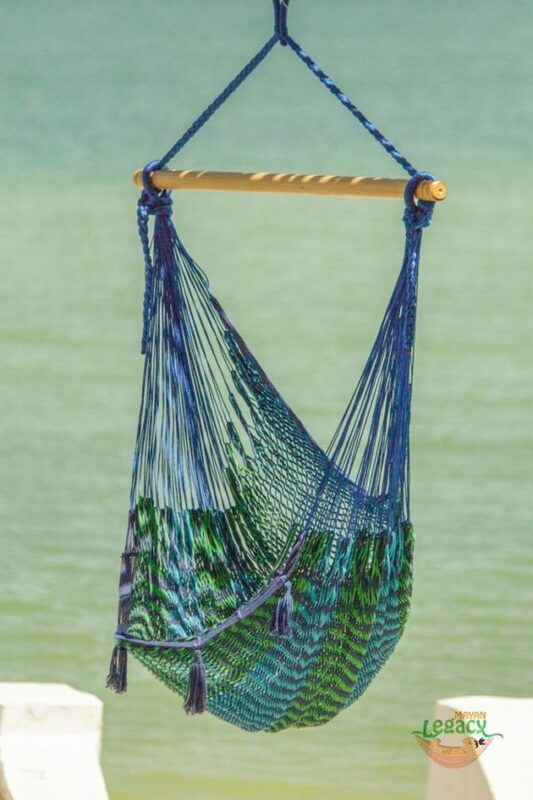 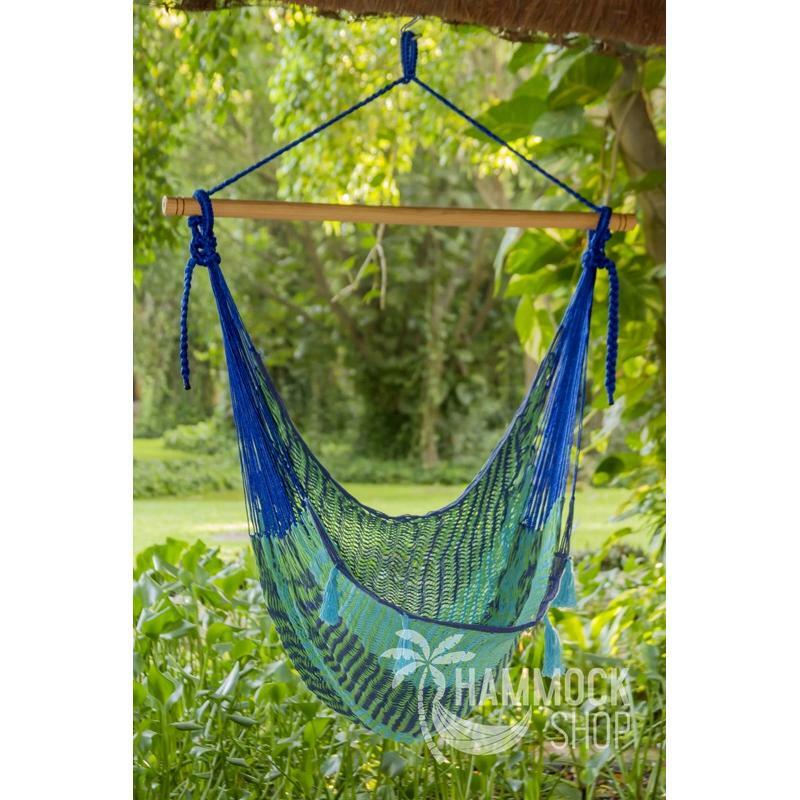 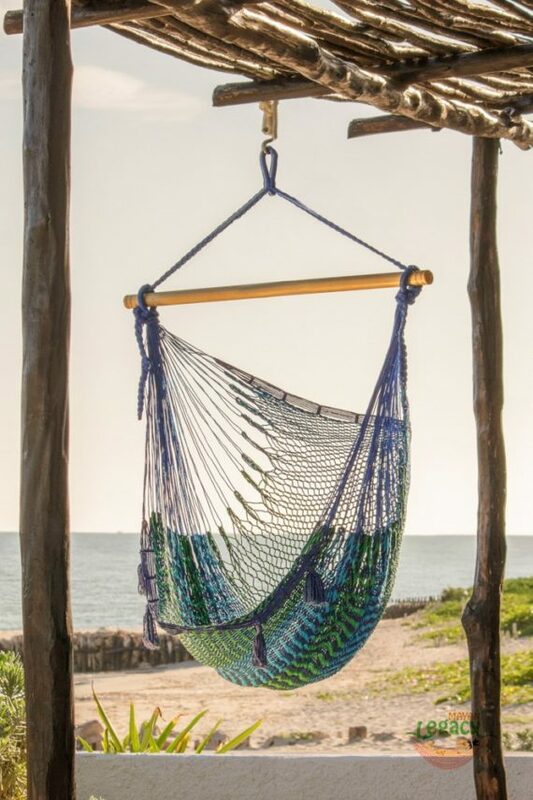 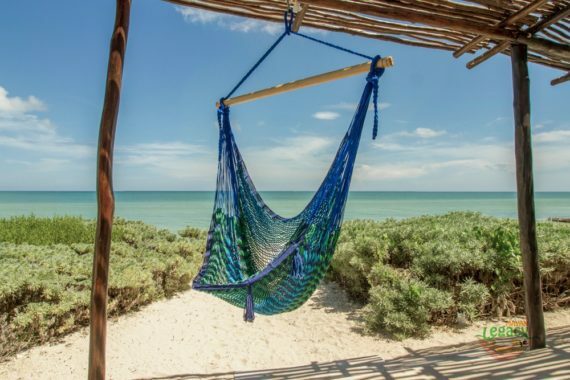 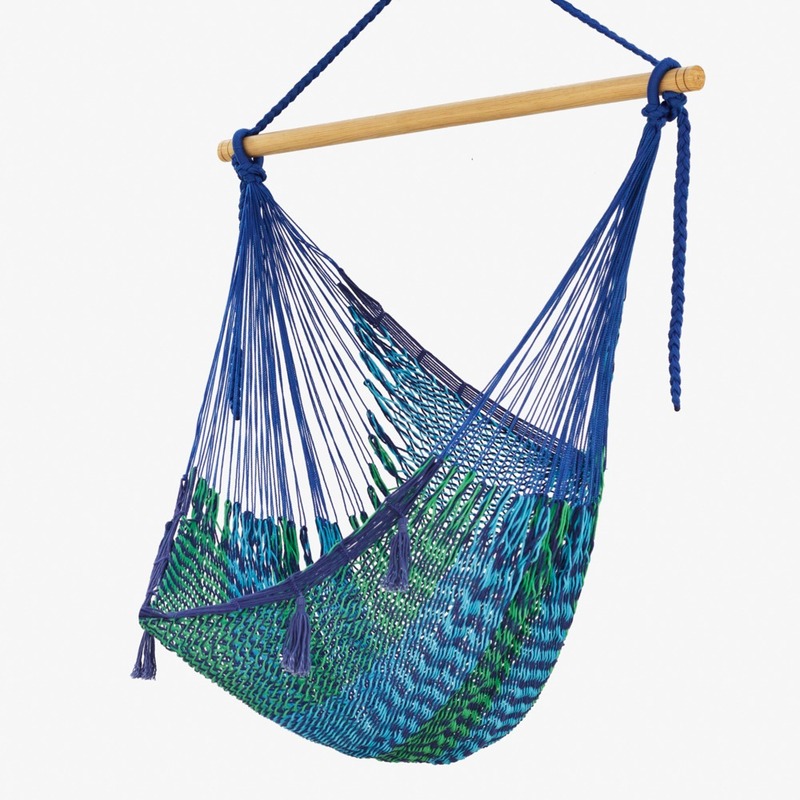 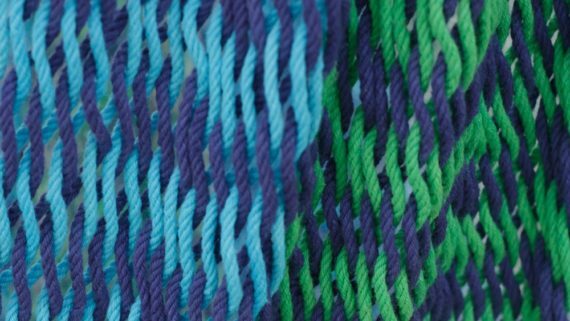 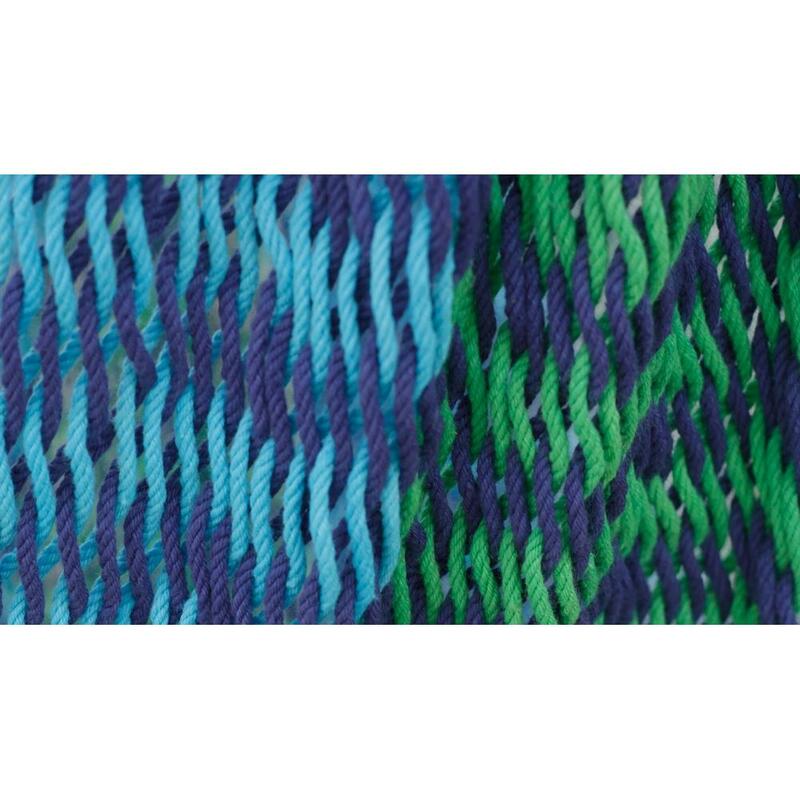 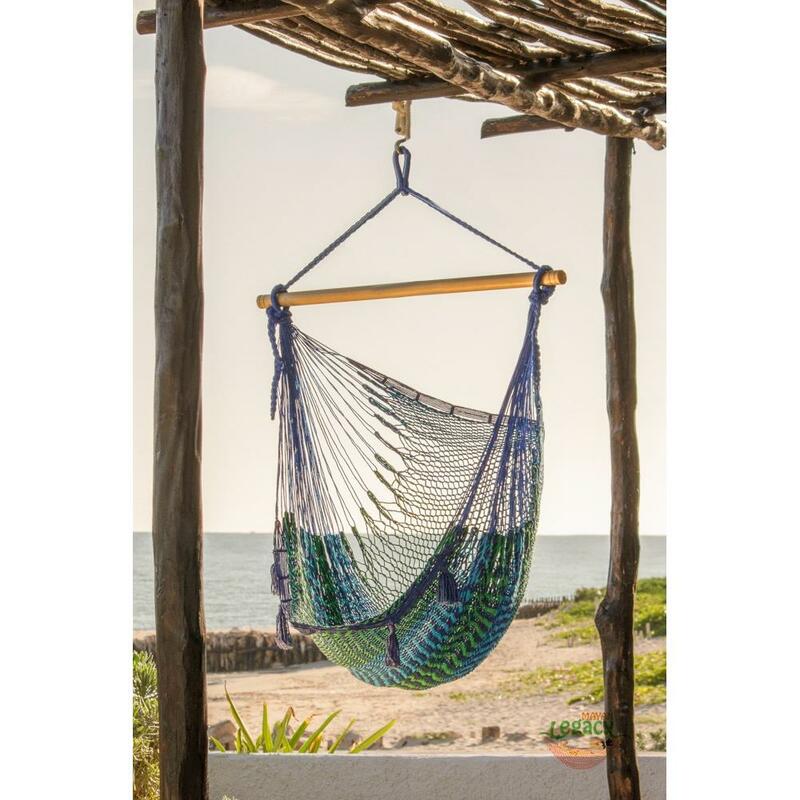 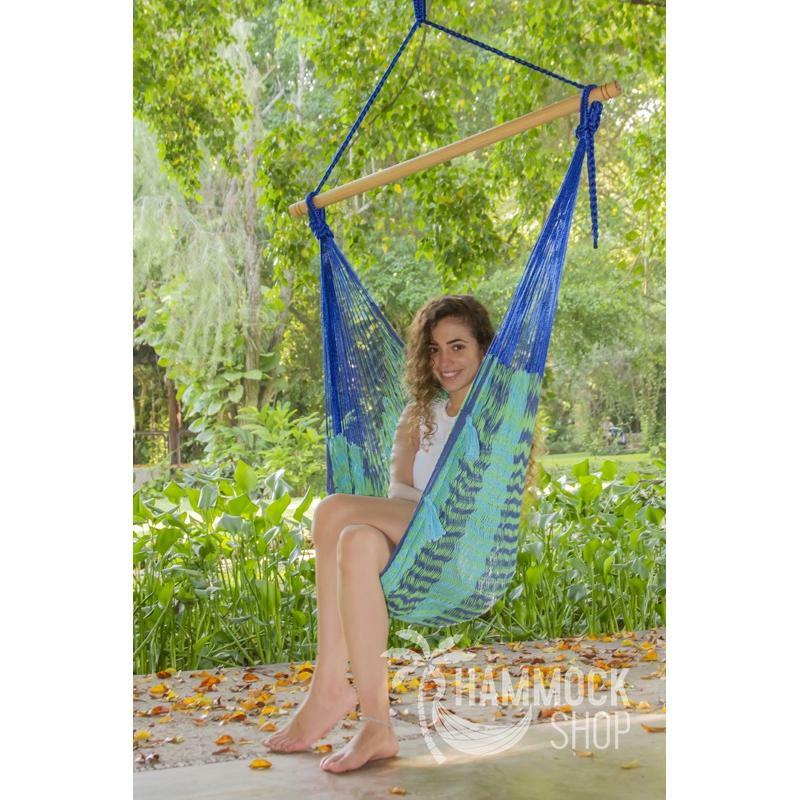 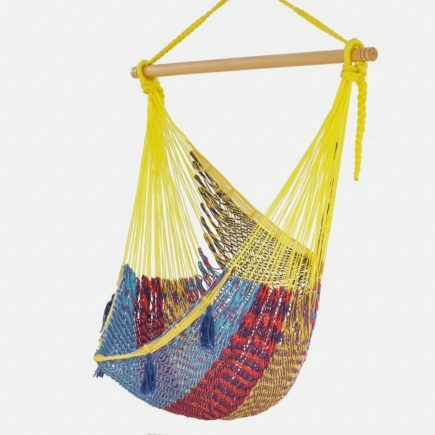 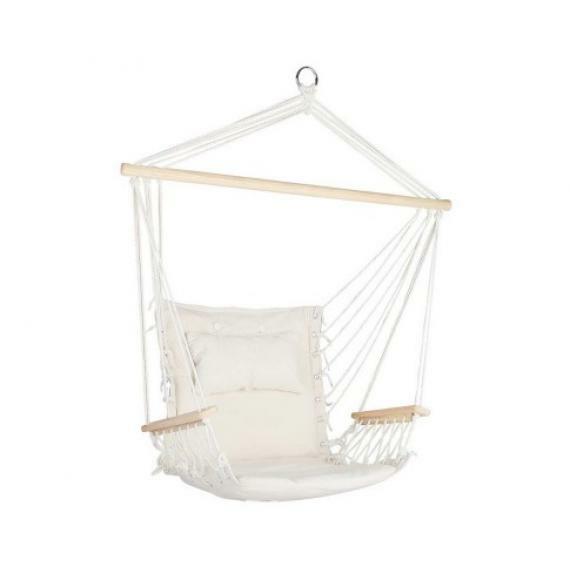 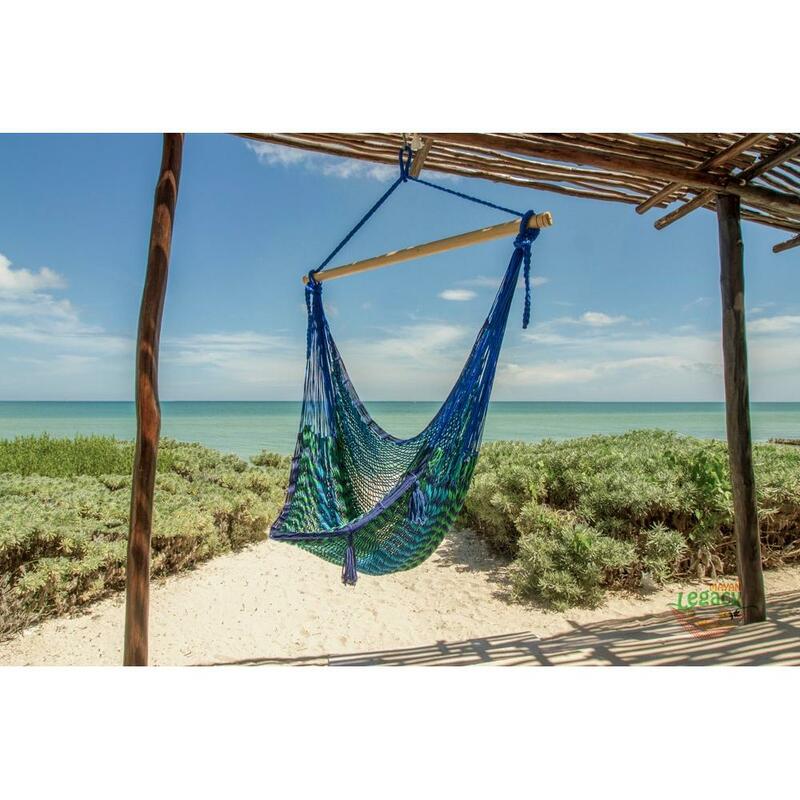 This beautiful hammock swing chair boasts the serene blues and greens of the Mexican Caribbean. 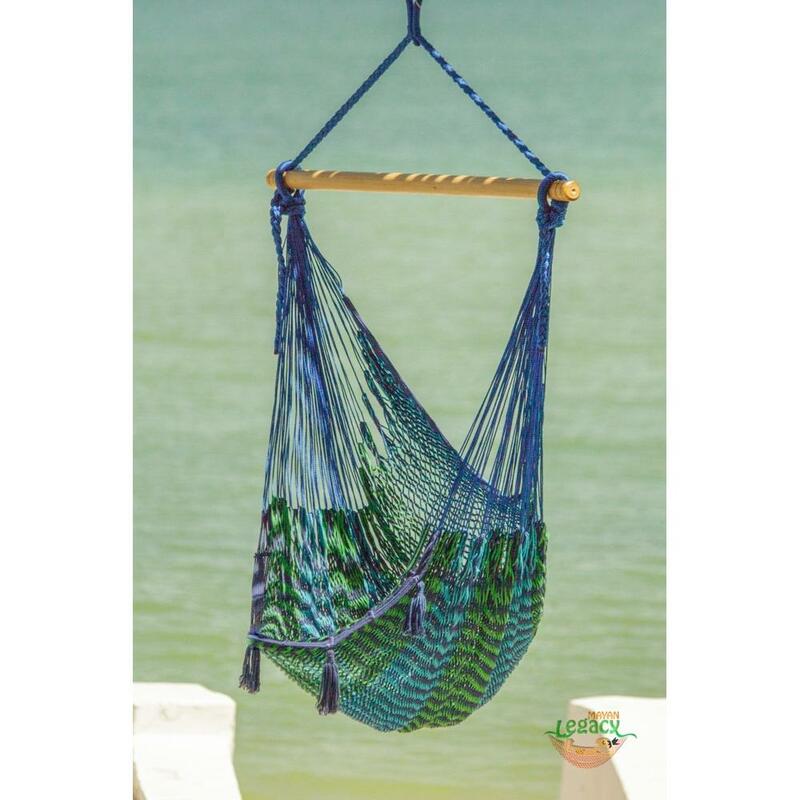 With comfortable back support, our extra large hammock chairs can accommodate you horizontally or vertically. 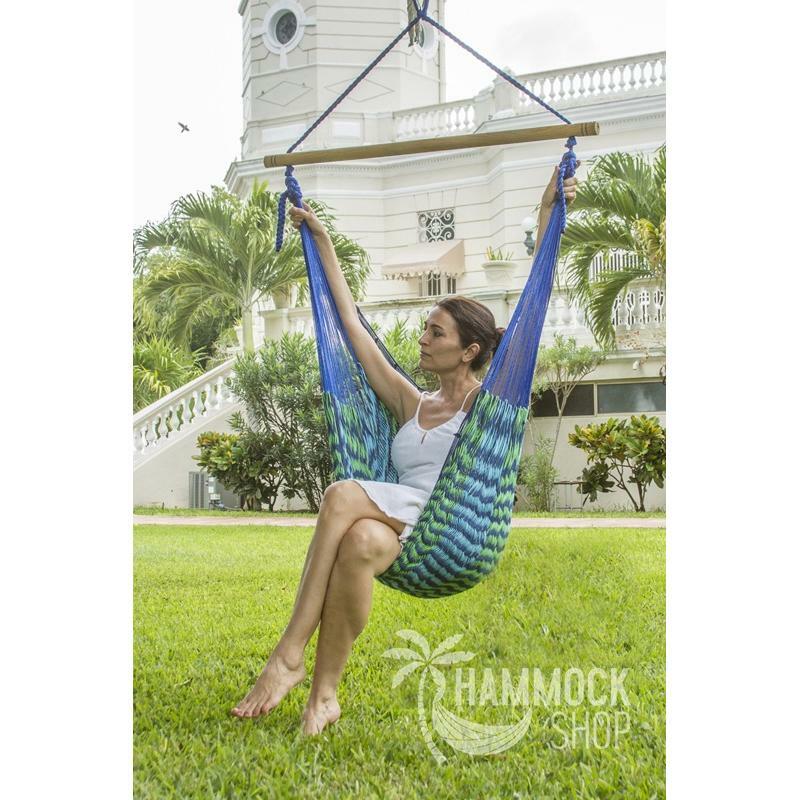 The outdoor cotton fabric allows for hanging virtually anywhere.